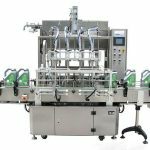 This is a 13 heads linear piston filling machine, especially designed for viscous daily chemical products such detergent shampoo, body lotion, shower gel and so on. Controlled by PLC and touch screen control panel. 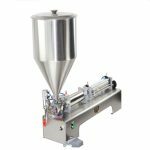 Accurate measuring, advanced structure, stable operation, and low noise, widely adjusting range and fast filling speed. 1. 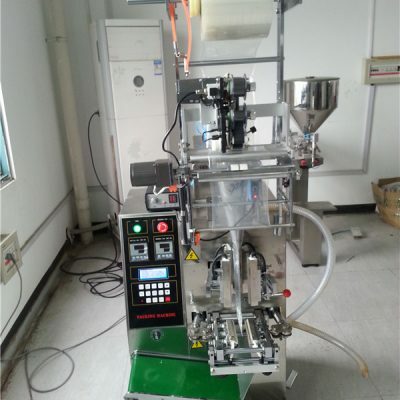 Adopts advanced mechanical and electrical integration technology. 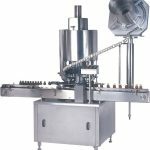 Any filling specification can easily be done by changing parameters in touch screen. 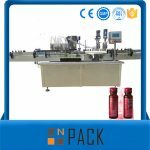 Not only the filling volume of 13 filling heads can be changed substantially, but also each filling head volume can be changed finely. 2. 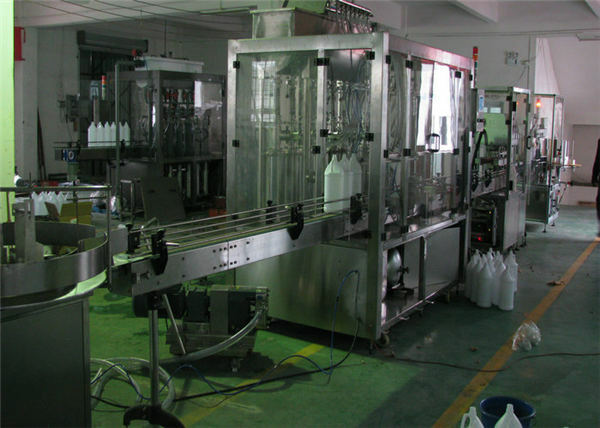 With PLC technologies, which make operation of machine steadier, convenient, the human machine interface is friendlier. Photoelectric sensor, approaching switch and other elements are using international famous brand. 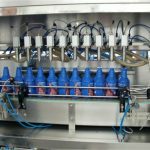 No bottle no filling, the machine can stop automatically and alarm when bottles get blocked. 3. 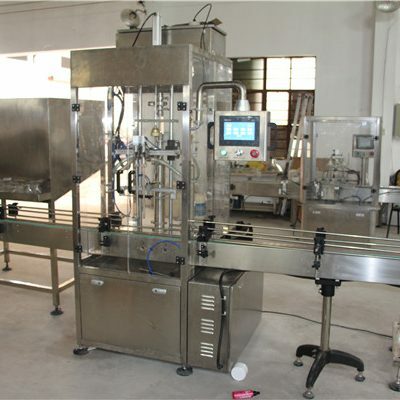 Various sealing rings used can meet different characteristics of products requirements. 4. Designing and production meet GMP. Easily dismantle, clean and maintain. 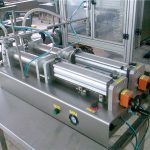 The parts which contact filling products are made of high quality stainless steel. 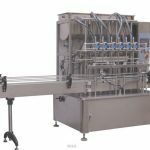 The machine is safe, environmental, sanitary, adapting to various kinds of working places. 5. 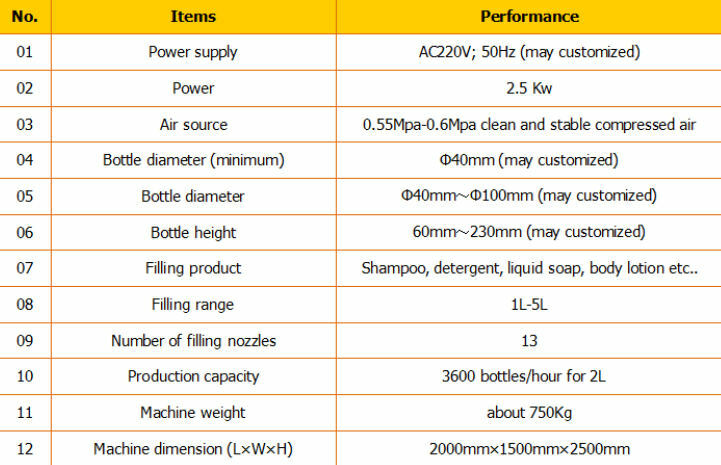 The material which contacts liquid will be made of SS304. 6. 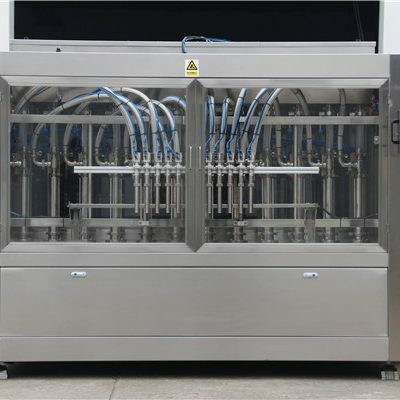 This machine has the function of “automatic cleaning system” in PLC, can be operated by touch screen. 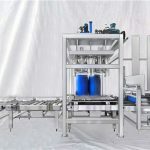 (2) The filling pipes are all adopt fast loading clamp, easy to dismantle and maintain. 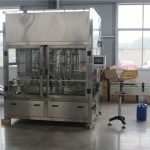 (1) The connector is all adopt fast loading clamp type, easily dismantle, clean and maintain. (2) All pipe joints are installed a drip tight gasket, for avoiding liquid drip, ensured a long-term service life and won’t penetrate. (3) Designing and production meet GMP. Easily dismantle, clean and maintain. 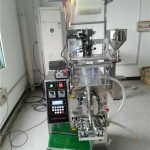 For the difficulty of cleaning piston cylinder and changing sealing ring, our company designed a new filling machine which adopt fully automatic cleaning system, before clean or replace material, through man-machine interface operation, the piston can automatically fall off and return the piston cylinder, then the rest material will flow into recycling platform by gravity, save the time of manual cleaning.